Alma Joy Cox was born in Orderville, Utah, on October 29, 1916, to Arthur Delano and Cora Haight Cox. In 1921 the family moved to Rockville to homestead and farm. Alma was always very close to his father ‘Pop” and spent the rest of Pops working life, side by side on the farm. In High School Alma gave up two years of schooling to help Pop on the farm because the need was there. He graduated from Hurricane High School with his younger brother, Elmer. Alma married Angeletta Howard, September 2, 1944, while serving in the Army in England. While he was stationed in England he would send letters home often which included money for Pop to buy land in Rockville for him. When he returned, Alma and Pop built a home for his new bride from England. Soon after, Angeletta joined The Church of Jesus Christ of Latter Day Saints and they were married in the St. George Temple. Alma and Angie loved to sing together. They also loved to dance and taught many to love it as much as they did. Serving others with kindness and an optimistic attitude was very important to Alma. He was small in stature but a giant in integrity, love for everyone, spirituality, thriftiness, and a good example to all. Everything he did was with a song or while whistling. You always knew where he was by his sound. He had a song for every situation. He was very active in the church but some of his favorite callings were Home Teacher, Dance Director, and Bishop! Alma and Angie were living their lives childless. They always wanted them and continued to pray for them. Finally, when Alma was 46 and Angie was 42 they were blessed with a family of 5, ages 2 through 9. Life completely changed for them! It was the best thing for them and a blessing for the children! His posterity is now at 107 and continues to grow! He taught his children the value of hard work and then how to play. He built a zipline for them at home and at the farm, along with big swings and a whirley gig. Many families and friends have enjoyed them over the years. Alma supported his family with his farm, the animals, fruit trees, and growing a large garden every year. He drove the school bus for many years for Springdale Elementary, and was Postmaster for the Rockville Post Office. Besides working on many community committees. Alma is survived by his children: Jackie and Harold Wells of Washington City, Sandy and Allen Campbell and Tracy and Tami Cox of Hurricane, Steve and Jacki Cox of Rockville, and Laurie and Lane Hartling of Lancaster, California. His sister Bernice Broderick, brothers Elmer, Bob, (Mary) and Evan (Mathalyn). He was preceded in death by his wife Angeletta, baby brother Paul, sisters, Amelda, Lena, and Marie. Funeral services will be Saturday, May 30, at 11 a.m., in the Springdale LDS Chapel, 1584 Zion Park Blvd, Springdale. A viewing will be on Saturday, from 9-10:30 a.m. prior to services at the chapel. Interment will take place in the Rockville Cemetery. The family wishes to express their deepest thanks to Sam and staff at Heritage Homes in Hurricane, for the loving and gentle care they provided dad throughout his last years! And a special hug for Martha! Dad loved and appreciated you so much! 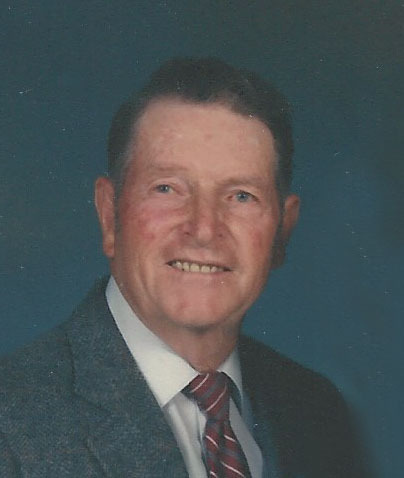 Arrangements have been made under the direction of Spilsbury Mortuary, 435-673-2454. Friends and family are invited to sign Alma’s online guestbook at the Spilsbury Mortuary website.